Create ringtones on Audiko.net! 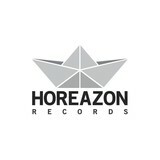 We offer you to download a free Horeazon | Records ringtones for your iPhone or mobile. Cut your favorite slice from your favorite masterpiece - Skibblez - The Sure Thing, Tayrell - Eurybia, Sebastian Carter - Klangbild, or any other track. You are welcome to get your ringtone both in the MP3 and m4a formats, played by both mobile phones and iPhones. Just select a track, and choose free Horeazon | Records ringtones download option.